Orders can be placed directly from our website www.thompsonstea.com. A refund for the purchase price will be offered only if there has been a problem with the item. This will be issued at the discretion of management once the product has been returned in its original packaging, or evidence of the damage/return has been received. Please send all returns to Punjana Limited, 2 Carnforth Street, Belfast BT5 4QA. Please note that the cost of returning the goods to us is your responsibility. All prices are in £ Sterling inclusive of VAT. There is no VAT on loose leaf tea, however VAT will be charged on all gifts. Delivery costs will be added to your order at the final stage of ordering. Please note that you may be subject to additional import duties and taxes, which are levied once the order reaches the specified destination. Any additional charges for customs clearance must be borne by you. We have no control over these charges and cannot predict what they may be. Payment must be made using one of the following valid credit or debit cards: MasterCard, Visa Debit, or Visa Credit. You must confirm that your provided details are correct and that you are using your own card. In the course of the payment process the validity of your card and your personal information will be checked to ensure your ability to pay and your identity. This is done for your personal security as well. We aim to dispatch your order within 48 hours from receipt, however, due to stock levels on some lines, this may take a little longer. Our orders (depending on size and weight) will be dispatched using either Royal Mail or courier. 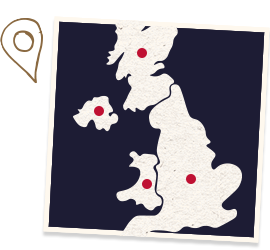 Please note there may be additional postage costs for Isle of Mann, Isle of Wight, Channel Islands and Highlands. Our third party carriers may not be able to deliver to certain countries at particular times for reasons of politics, government, natural disaster or operational crises. Please email us at hello@punjana.com prior to placing our order to ensure we can deliver. In the unlikely event of a product being unavailable, we will keep you up to date by email, and we will dispatch the item as soon as the product is back in stock. 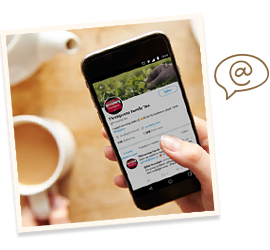 If you would like to stock our tea in your hotel, tea room or restaurant, please submit a request in the first instance to info@punjana.com. We reserve the right at any time to change, modify or discontinue any product or service without notice at any time. We are not liable to you or any third-party for any modification, price change, suspension or discontinuation of our service. This website and all its content is the copyright of Thompson’s Tea. All rights reserved. 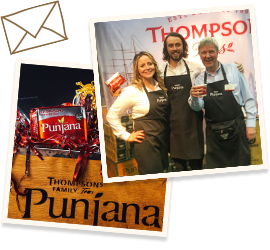 All copyright and other intellectual property rights in all text, images, sound, software and other materials on this site are owned by Thompson’s Teas. You are permitted to browse this site and to reproduce extracts by way of printing, downloading to a hard disk, and by distribution to other people, but in all cases for informational purposes only and provided that the above copyright notice appears in all such reproductions. No reproduction of any part of the site may be sold or distributed for commercial gain nor shall it be modified or incorporated in any other work or publication, whether in hard copy or electronic format, including posting to any other site. No other license or right is granted.